We offer durable, attractive dinnerware styles which appeal to all foodservice markets. Our china is fully vetrified , microwave safe, FDA approved, and Lead Free! 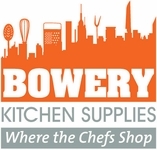 We sell many manufacturers China Please click on the links to view manufacturers online catalogs to make a choice, then email your requirements to Bowerykitchen@yahoo.com.